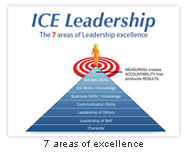 We ICE Leaders to achieve Excellence! Top performers produce more and cost less. They work with passion that comes from purpose which allows them to work smarter and elevate everyone around them. They create the culture and atmosphere needed to achieve Excellence. 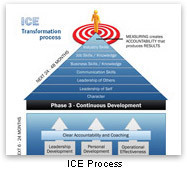 So how do you get top performers at every level of your organization? You ICE them! Do you have the type of leaders it takes to get to the next level?